Ethiopian Airlines is set to become the first Africa-based airline to have a direct flight from Africa to Chicago starting in June, the airline announced in a news statement to Mshale this week. Chicago is also the hometown of former president Barack Obama and will be home of the Museum of the Obama Presidential Center, the planned presidential library of the 44th US president. The press statement said Ethiopian Airlines would on June 9 start non-stop service three times a week between Chicago’s O’Hare International Airport and Addis Ababa’s Bole International Airport. In 2007, South African Airways was destined to be the first airline to have nonstop service between Africa and Chicago but unceremoniously canceled the plan without explanation. This will be the airline’s fifth non-stop Addis Ababa to a North American destination. It already flies non-stop from its Addis Ababa hub to Washington DC, New York, Los Angeles and Toronto. Those traveling to countries surrounding Ethiopia might find this new option appealing as opposed to Emirates, Etihad Airways or Qatar Airways, which currently provide connecting service to Africa but where one has to fly to these airlines’ respective hubs first from Chicago before connecting to their final African destination. Once you land in Addis Ababa, it will be a short connecting flight to say Nairobi or Kampala instead of a five hour connecting flight from Dubai to Nairobi. Ethiopian Airlines was on November 2017 voted ‘African Airline of the Year’ by the African Airlines Association (AFRAA). The Chicago to Addis Ababa flights will be each Wednesday, Friday and Sunday aboard a 270 seat Boeing 787 Dreamliner. “Ethiopian Airlines is striving to accelerate the U.S.-Africa connection as part of our service expansion plan. From Chicago O’Hare, one of the best-connected airports in the U.S., we will propel connections between Africa to the rest of the world like never before. 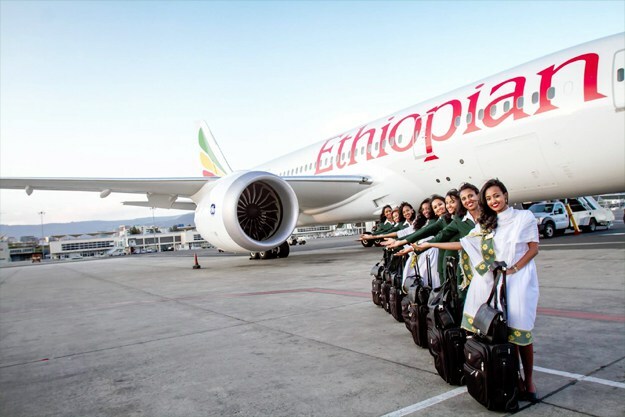 We are well positioned to provide the missing link in connecting Africa with its major trading partners in Asia, the Middle East, Europe, North and South America,”Tewolde Gebre Mariam, CEO of Ethiopian Airlines said in a statement. Ethiopian Airlines is part of the Star Alliance, which includes United Airlines. Chicago is also the main hub for United Airlines.